This location has a Walk Score of 54 out of 100. This location is Somewhat Walkable so some errands can be accomplished on foot. This location is in the Weinlos neighborhood in Edmonton. The closest park is Mill Creek Ravine - South East, Edmonton, AB. This location has good transit which means many nearby public transportation options. This location is in the Weinlos neighborhood. 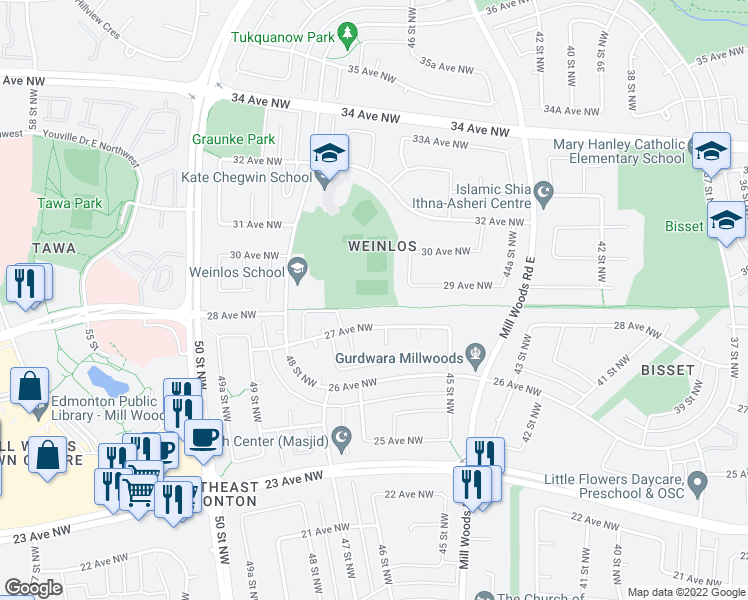 Weinlos is the 113th most walkable neighborhood in Edmonton with a neighborhood Walk Score of 52.